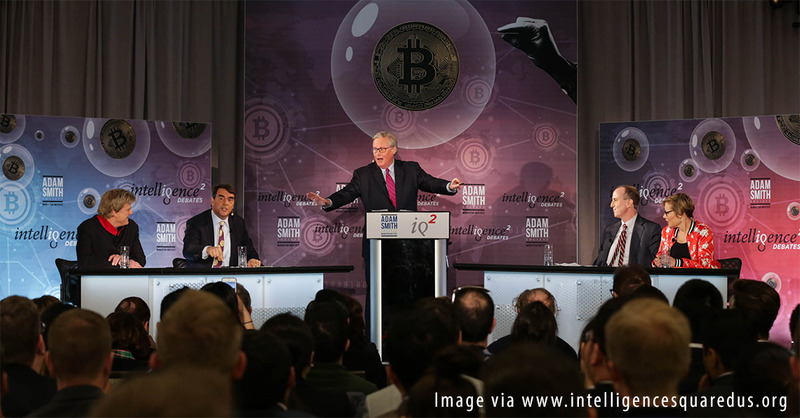 The Big Debate: Bitcoin, Bubble or Here to Stay? The crowd (of mainly millennials) cheered when Gillian Tett, Managing Editor of the Financial Times, offered this tidbit: "Bitcoin is the Pets.com of today." In a passionate retort, Tim Draper, one of Silicon Valley's most colorful and successful investment bankers said, "Maybe there was an Internet bubble, but the Internet is still very much with us, and Bitcoin will be too." Eric Posner, a University of Chicago law professor, dubbed Bitcoin a Ponzi scheme. And Patrick Byrne, Founder of Overstock.com, one of the earliest e-commerce sites that accepted Bitcoin, believed that cryptocurrency will solve the "trust" problem that's plagued currency for thousands of years. And so a rollicking debate kicked off at the Adam Smith Society, in collaboration with Intelligence Squared US, on an early spring day in New York City. Draper and Byrne represented the "Bitcoin is here to stay" movement. On the opposing side were Posner and Tett. You can watch the debate and chime in on the website Amazingly, the pre-debate poll had voters nearly equally split between "for the motion" that Bitcoin is going mainstream. But the post-debate result showed 68% "against the motion" swayed to believe that Bitcoin is just a bubble waiting to fall by the wayside. As much as the words, the emotional tenor of the debate was a decisive factor. The Draper/Byrne team had that early adopter, evangelical fervor. "I have no idea how anybody could vote against Bitcoin. It's decentralized, trusted, transparent and done properly, can transcend geographic borders. It's bigger than the Internet," said Tim Draper. Eric Posner's historian view postulated that a bubble typically means that early adopters will make big money but second-comers will pay exorbitantly. Furthermore, Bitcoin's anonymity creates a perfect environment for criminal activity, and the fixed number of coins on the market would leave governments unable to address economic crises. And claims of decentralization, he says, are not exactly true when the Bitcoin miners own 51% of the coin and we don't even know who they are. Gillian Tett agreed, saying that "the problems for fiat currency (what governments or laws create) are nothing compared to the problems cryptocurrency causes." Today, she said, Bitcoin is limited because it takes so long to mine, requires so much energy to mine, and there are few places to spend it. In a debate where futurists argue with pragmatists, it's probably a good idea to look to the past. Multiple currencies will probably continue to exist in the same way that multiple media continue to exist. As consumers, we're likely to spread our assets across traditional fiat and new currencies, in the same way that we spread our attention between radio, print, and the Internet. But you can decide for yourself, and even if you can't decide, you will be entertained and informed. Join us at this year's Digital Money Forum as the debate rages on. Take a small mirrored device, attach it to the top of an iPad and you've got a recipe for a million educational games and play patterns. Congrats to Osmo, one of our KAPi winners, for getting to a million by using one simple hardware attachment to create a seemingly never-ending source of play. If you don't know Jill Gilbert, you should. 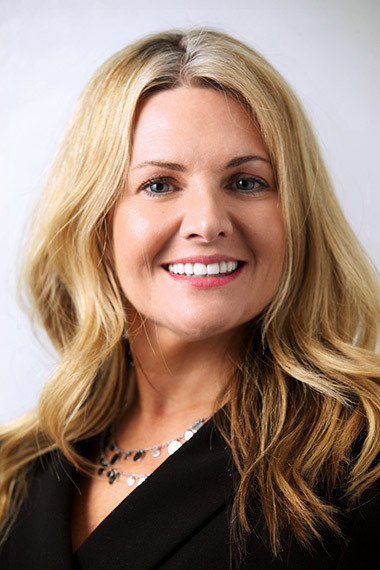 She's been at the forefront of bringing the newest innovations in the health arena to CES. The 2019 conference and marketplace at CES brings nearly 50,000 square feet of exhibit space covering areas including digital therapeutics, artificial intelligence, sleep tech, condition-specific wearables, precision medicine, virtual and augmented reality and more. Join us on the show floor and at the conference for an unforgettable anniversary. No big surprise that despite early critical acclaim, Intel shuttered their "smart glasses" effort, Vaunt, earlier this month. Intel has been known to flub almost every hardware building project it undertakes, from kids toys in the 90's to smart TVs and fitness bands. Many say that Intel simply can't get hardware right, but it just might be looking at the wrong audience. It's pretty clear through my glasses that the sweet spot for early adoption of smart glasses will be in the workplace, and not the consumer market. A look at the market research from Statista shows that, with the exception of video gaming, most AR glasses will wind their into the workplace: health, engineering, and real estate, to name a few. Wired's look at the AR workplace shows companies like Facebook and Microsoft, startups like Meta and Magic Leap, and non–Silicon Valley companies like Boeing and Bosch busy building the hardware and software for the AR workplace. Don't equate Intel's bailing on Vaunt as the death knell for glasses. They were just looking for AR in all the wrong places. And a bit further out on the wearables horizon, a new study from Juniper Research has found that the wearables market has begun to to connected clothing.